Does AltaSteel have employee benefits & pension? 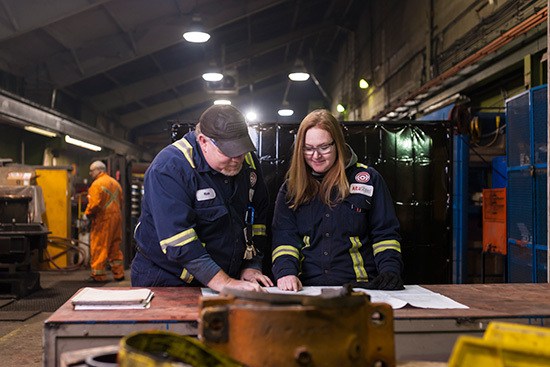 In addition to a competitive starting salary, AltaSteel has excellent employer paid benefit and pension plans for all positions within the organization. 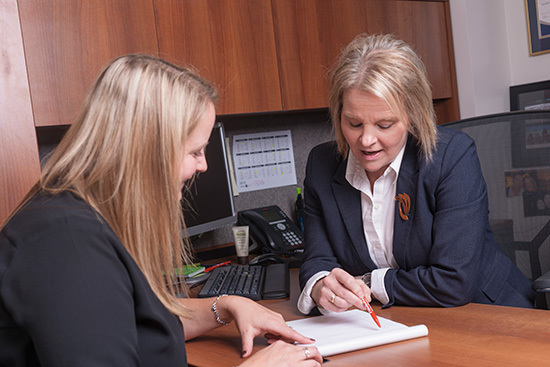 All employees at AltaSteel are enrolled in benefit plans that include medical and dental coverage, prescription drug coverage and vision care, for you and your dependents. In addition to this you are also covered for life, accident and disability insurance. Benefit and pension plans vary depending on your employment contract with AltaSteel. Do I need to have previous training or education to work at AltaSteel? 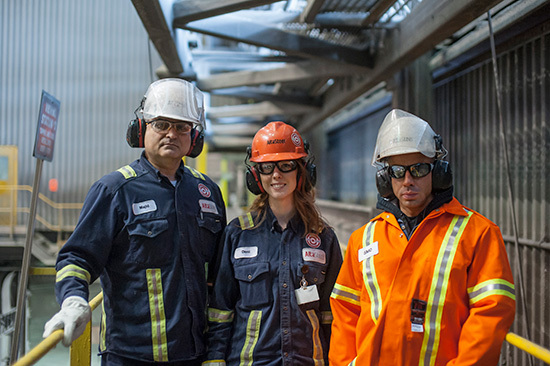 The steel industry is made up of much more than Engineers and Technicians. 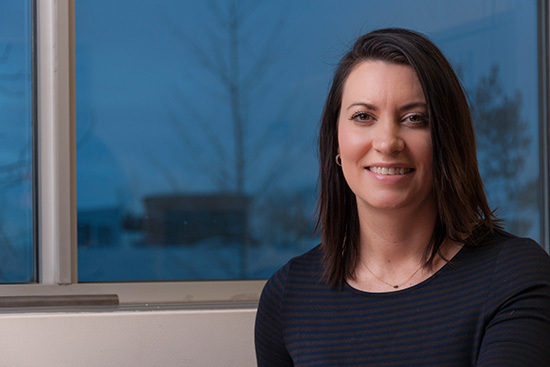 People with positive personal attributes and skills in a range of disciplines are required. 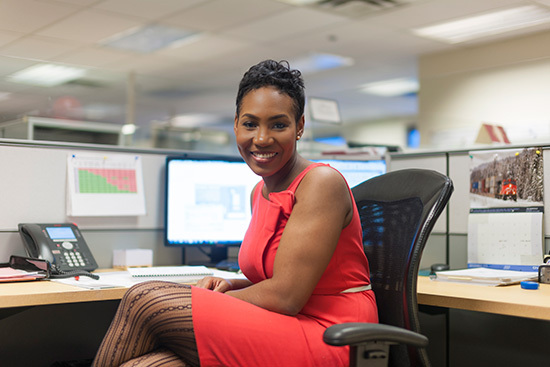 AltaSteel is proud to offer a variety of career choices ranging from entry level operations through support and technical roles right up to Management opportunities. While certain positions require previous qualifications and skills, we also offer entry level opportunities with no pre-requisites. Although we do prefer operators with past manufacturing experience, we will consider all applications received. AltaSteel provides employees with the training and tools necessary to be successful in their careers. Are there other women who work in the operations at AltaSteel? 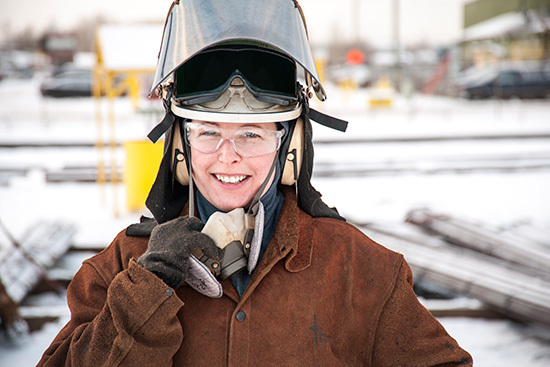 Yes, AltaSteel has a great group of women working in various positions and areas within the plant. I do not have any work gear and I am worried about the cost of purchasing the required PPE? No need to worry about the added cost of required personal protective equipment, at AltaSteel we supply it all. Upon hire with AltaSteel we provide you with the personal protective equipment necessary to do your job. This includes; hi-visibility coveralls or uniforms, winter jacket, work gloves, safety glasses including prescription safety glasses, hard hat, hearing protection, fire retardant under layers, respirators and safety boots. I have never worked in an industrial setting or done manual labour. What can I expect? I had no previous industry experience but I was provided great training by friendly co-workers so I felt comfortable making the transition. Working in an industrial setting is interesting and offers you an opportunity to meet interesting people and learn a diverse range of skills. Depending on the area of the plant site you might encounter working in cold, hot, dusty and dirty environments in teams or individually. While you may not have previous experience in this type of work, AltaSteel ensures that all employees are fully trained and that the appropriate systems and procedures are in place to ensure all tasks can be completed safely and without strain. What else does AltaSteel have to offer? In addition to Employee Events and Recognition AltaSteel has recently expanded and renovated the women’s change house to make a comfortable area for before and after your shift.